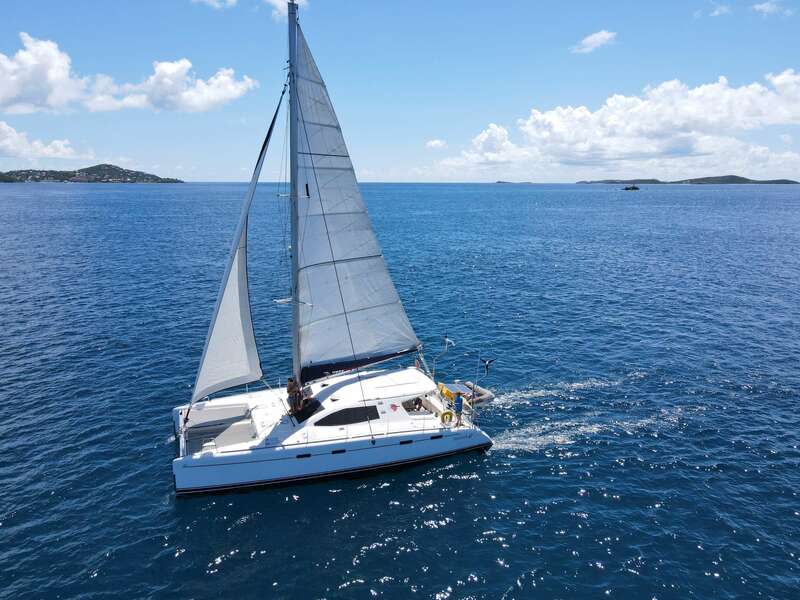 Cruzan Yacht Charters has been providing bareboat, crewed, luxury and party yacht charters in South Florida, the Florida Keys, the Bahamas, the Caribbean, New England and many other worldwide locations since 1980. 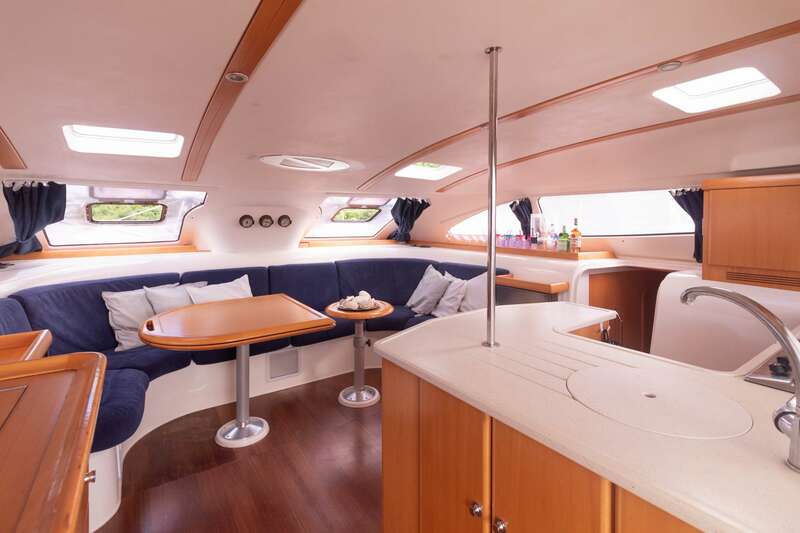 Whatever the occasion may be - sailing, snorkeling, deep sea fishing, dinner cruises, corporate meetings, wedding parties, honeymoons, or a romantic moonlight cruise for two - we will be glad to arrange the perfect yacht charter for you. A YACHT FOR EVERYONE. 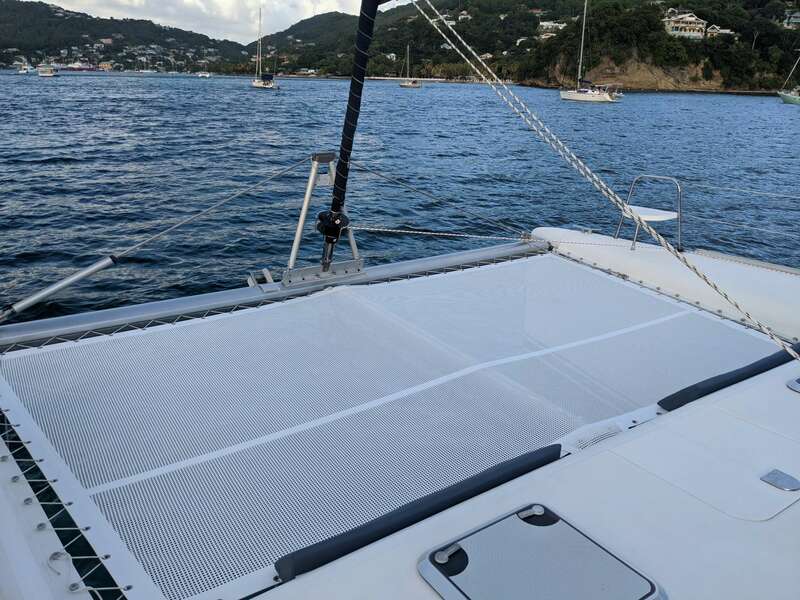 - WINNER - BEST BOAT UNDER 50' AT VIPCA USVI YACHT CHARTER SHOW 2017 !!! 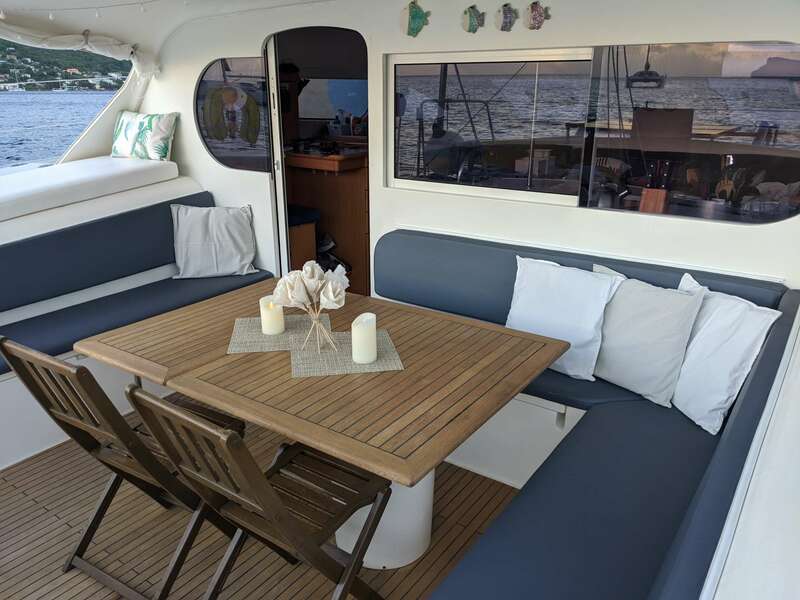 Comfort travels with you: the two hulls of the catamaran guarantee an excellent stability and then assure a pleasant navigation, without sharp movements nor extreme inclinations like on a monohull sailing boat. 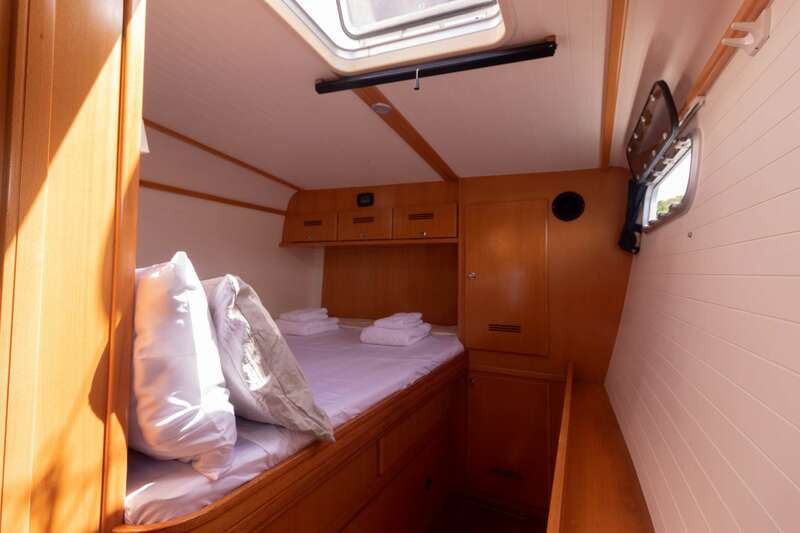 That's why a holiday aboard Nemo is ideal also for kids, who can move safely onboard and play on the wide fore nets. 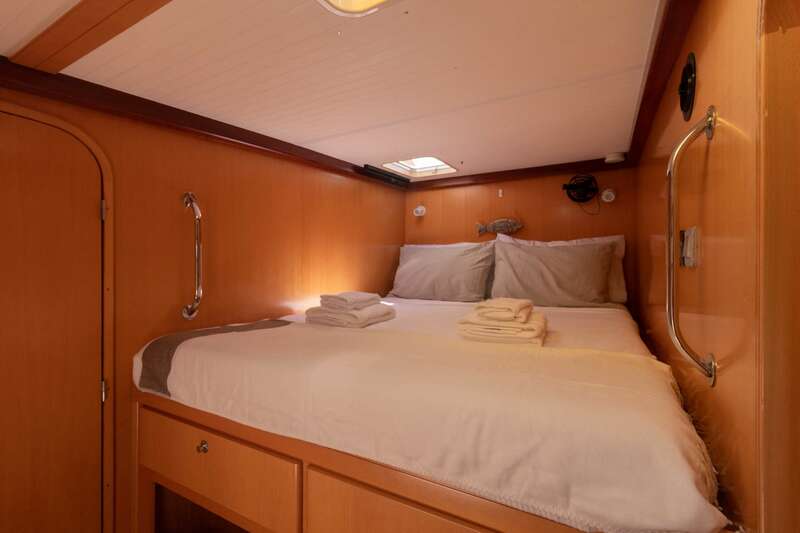 Nemo is also equipped with many optionals, such as solar panels, generator and water maker- so can operate at anchorage without the need to dock. Nemo's all inclusive cruise has been created to fill your moments up with unforgettable remembrances. Including the culinary ones: on the catamaran tastes and flavours are not at random and every meal becomes a little gastronomical discovery, a journey through refined dishes and very genuine ingredients, from onboard-made bread, pizza and yoghurt to sushi or barbecue nights and sunset cocktails. WATER AND ELECTRIC ENERGY: A GIFT FROM NATURE. We've chosen to produce our own drinkable water by desalinating sea water and filtrating it with a specific reverse osmotic water purifier to guarantee its bacteriological pureness. The huge environmental benefit is not to use and waste hundreds of plastic bottles. Onboard-produced water is kept cool (and sparkling if desired) using glass bottles, with the same method of yoghurt production. 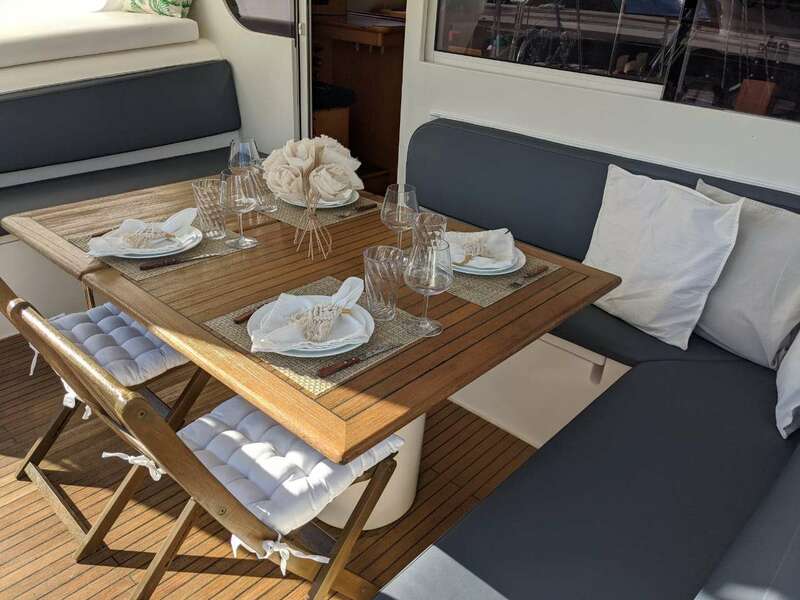 Nemo is equipped with two 66 x 130 cm solar panels with 315 W/h energy production and two aeolian generators that satisfy all the energetic needs of common utilities such as light, battery chargers, fridge and freezer, using the solar energy accumulated during day time and the aeolic one gathered in every breezy moment, day and night. New for 2015, Nemo has all new cockpit cushions made with environmentally certified fabrics. 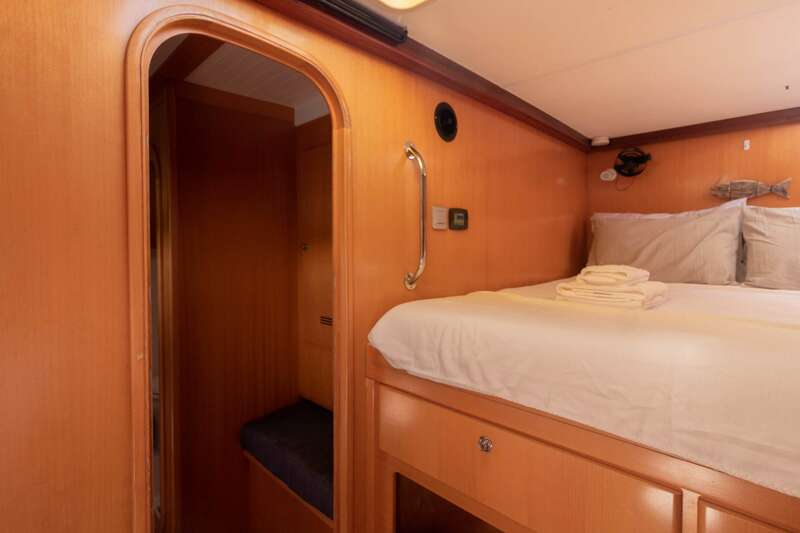 4 Queen CABINS ALL WITH EN-SUITE FACILITIES. 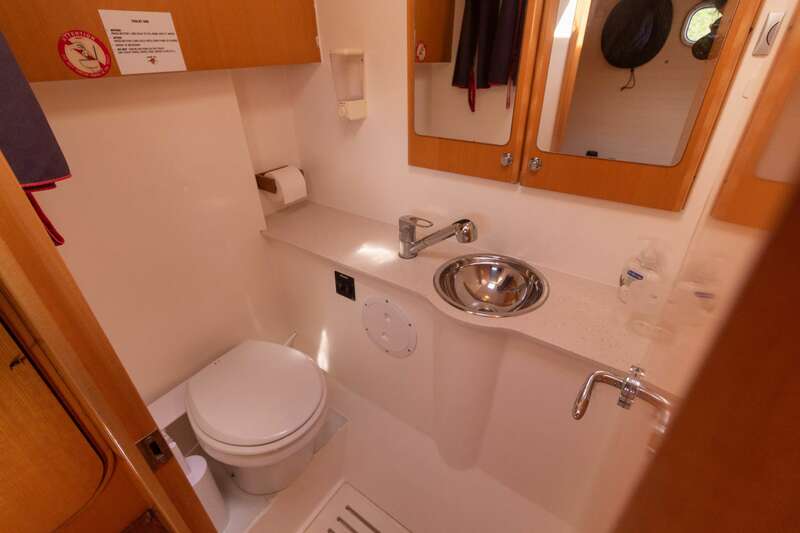 (Crew will then use forepeak crew quarters with own head and shower).